Adorable flower girl shoes from Dessy will make her feel like a princess! 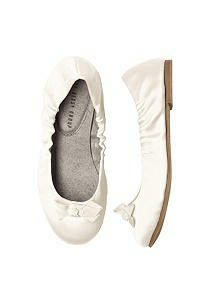 Children's satin ballet flats with delicate grosgrain bow, stitched so it will stay perfectly tied. Soft sueded lining is comfortable and secure for little feet. Lovely for a wedding or party wear! Children's satin ballet flats have soft elastic sides so the shoe stays on securely. 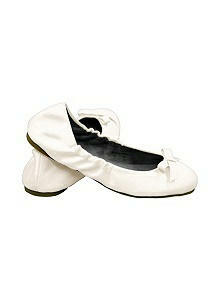 These shoes are not meant to be dyed.